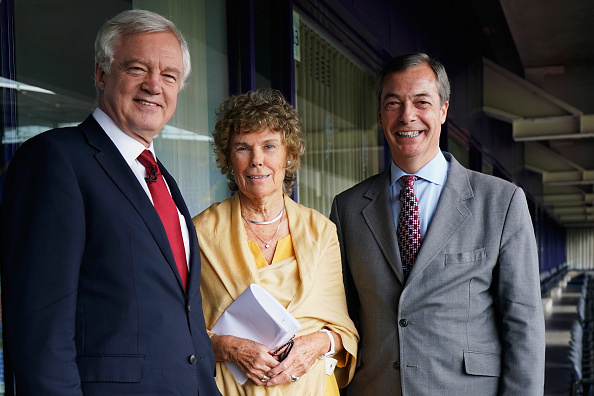 Labour MP Kate Hoey has claimed she's starting to believe Brexit deal "conspiracy theories". The co-chair of Labour Leave told talkRADIO's Julia Hartley-Brewer that after the details of the deal were revealed, she had started to believe rumours that it had been "planned from the beginning". "You just wonder what has been going on for two years. How they could possibly after two years of so-called hard negotiations with the Prime Minister, how we could have ended up with something like this?" she said. "You almost begin to think some of these conspiracy theories that are going around, that this is what was planned from the beginning. I don't want to feel like that, I did actually feel the Prime Minister was serious when she said Brexit means Brexit and we're leaving. It's just been a huge, huge let down." The politician added that the Brexit deal was simply a "facade", and was "Brexit in name only". "It's staying in really, but with the facade that we're leaving," Ms Hoey said. "We'll still be paying money right through until we get a final trade deal, and in my view this has been written very clearly by Brussels negotiators." Ms Hoey called for MPs to continue to vote down the deal in Parliament until March 29, in order to force a no-deal Brexit. "If we don't vote for this deal then in my view, Parliament can't make the government not have a no-deal. If we carry on until the end of March we'll be out without a deal. "What we need to be doing now is actually making it clear to the EU that we're prepared to do that, and then we start the work of making it easier to have a no-deal."